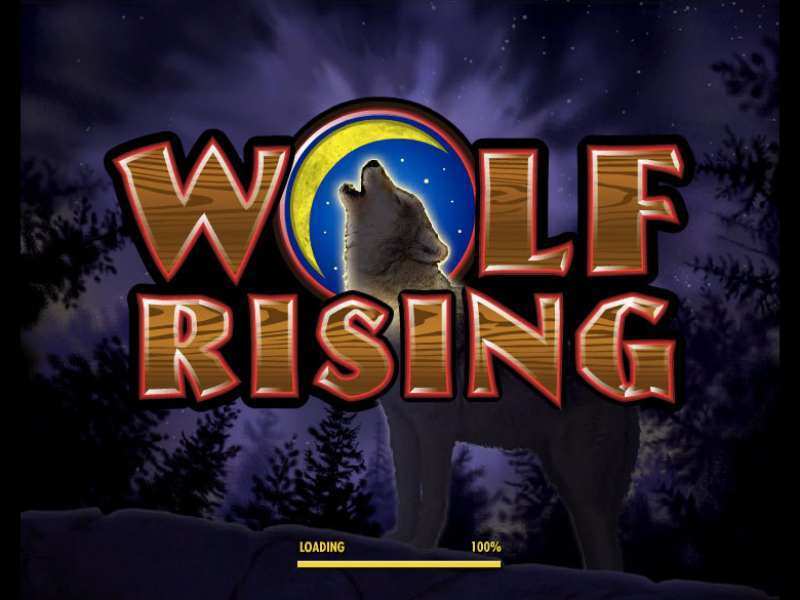 Wolf Rising is an online slot machine made by IGT. Even though IGT's main headquarter is located in the UK, their games are played by tens of millions of gamblers from all around the globe. There is no need to talk too much about this company as they have already built an indisputable reputation. They made hundreds of online slots in over two decades now, evolving from the company that just wanted to attract players from the United Kingdom to one of the leading companies in the industry. Usually, games that have “weird” formations like this lack the RTP and result in a much higher house edge percentage, but not this time. The RTP is 96.05%, which above the average compared to all the other modern slots. The game is apparently devoted to wolves, which is why there is a lonely wolf in the background looking for a company. Help him find his friends by landing all kinds of regular and bonus wolf signs on the reels. The most important feature in the Wolf Rising slots is the stacked wild addition. Machines with more than 3 rows benefit greatly from stacked wilds as having them spread across all eight or at least 5 almost guarantees a winning combination. The totem pole sign, besides substituting for all symbols except for the ones that have special abilities as well, is the most valuable on the paytable. At least 3 of a kind need to connect on an active payline in order to get rewarded, while matching five on all 5 reels results in a highest possible single instant cash prize. In order to get free spins, players need three scatter icons to appear on the reels 1,3 and 5. Whenever that happens, 5 gratis rolls will be awarded and started immediately. Additional stacked wilds may appear throughout the feature, while re-triggering the feature itself is also an option which requires three more scatters in any row. Gratis swirls stop when there are no more spins available on the counter or after 255 are played consecutively, with no breaks in-between (50 re-activations). The Wolf Rising online machine can be played either for free, in the fun mode or for real cash in the real money version. No download is needed to play any of the two modes, but downloading the app on your tablet or phone is always a great choice. The only thing that is different in these two versions, in terms of getting ready is that the real money mode requires players to create an account at the casino. Signing up is a very simple process and takes only a few minutes. After all that is done, look for the promo offer that suits your needs in the best way possible. If you like gambling with more cash than all the average users, then the high-roller bonus is the best choice. If you are not that familiar with the real money gameplay, then claiming the no deposit or the first deposit bonus is something to look forward to. The Payout requirements can be found for every single addition out there. Getting the no deposit addition or using free rolls is always a great idea when playing on a slot that contains some kind of a jackpot reward, as there is no risk involved with great chances of hitting huge prizes. The Siberian Storm Mega Jackpot slot is a great example of that type of game, along with the fact that it portrays yet another magnificent animal. Play free Wolf Rising casino slot machine at any online casino for a long time, and you might get rewarded by the casino. One of the ways of cashing in on your continuity is to claim the loyalty bonus. Depending on how often you are gambling (daily, hourly or at least once a week) the values of these bonuses vary. Those who are the most active will get rewarded with the best percentages and limits, while those who jump in from time to time will enjoy some benefits as well. Wolf Rising requires some basic knowledge about slot machines, and spending more time on those reels is recommended because placing bets on 8 different rows and 40 fields in total is not that easy after all. 0 responses to "Wolf Rising Slot"